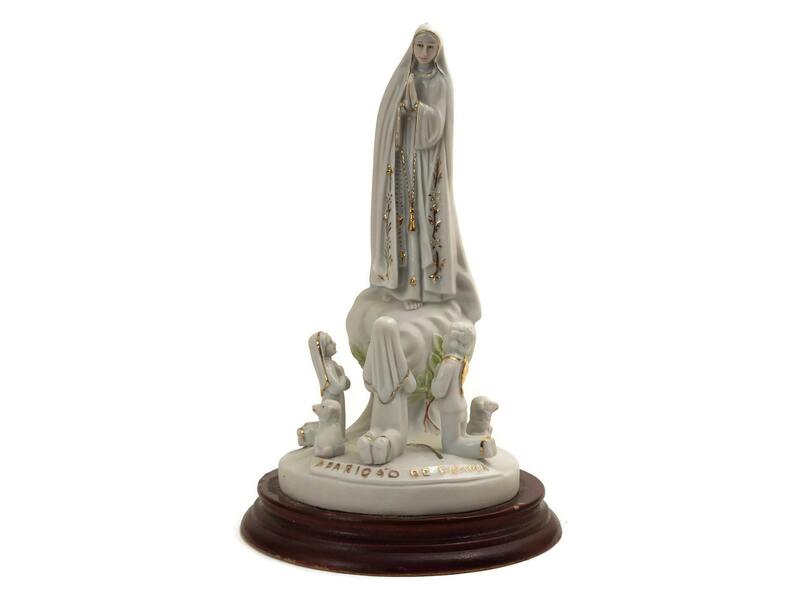 A lovely Our Lady of Fatima statuette souvenir dating to the 1970s. 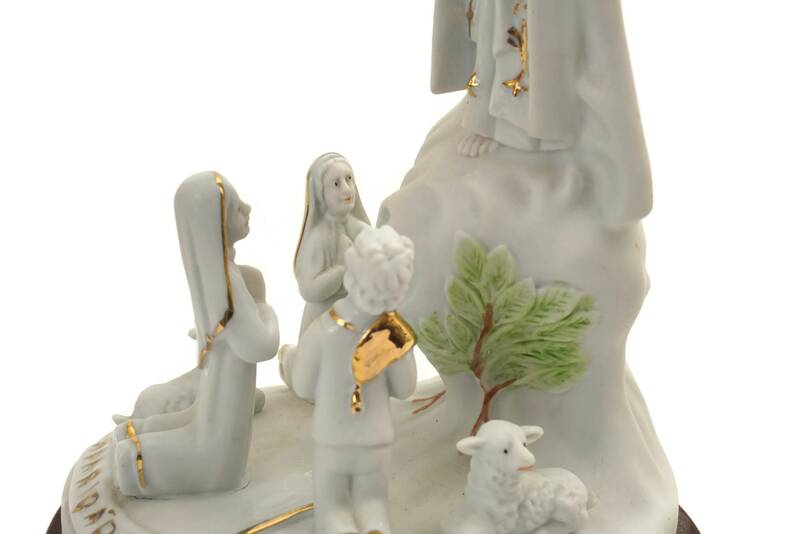 The religious statue has been cast from porcelain and hand painted with gold highlights. 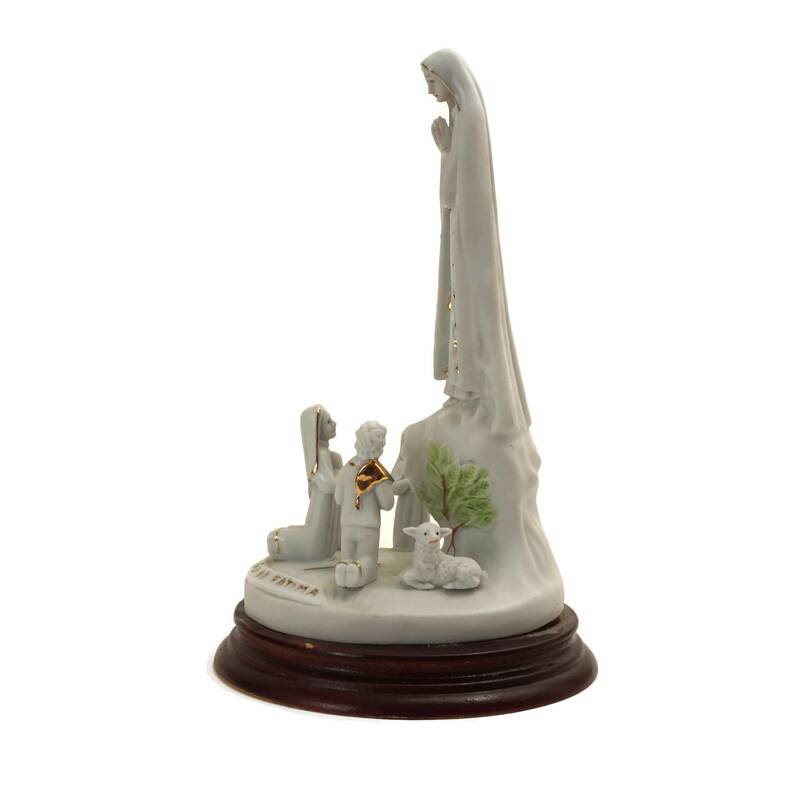 The figurine stands on a wooden base that has been painted in a shade of brick red and has been created in a naive style and is filled with charm. 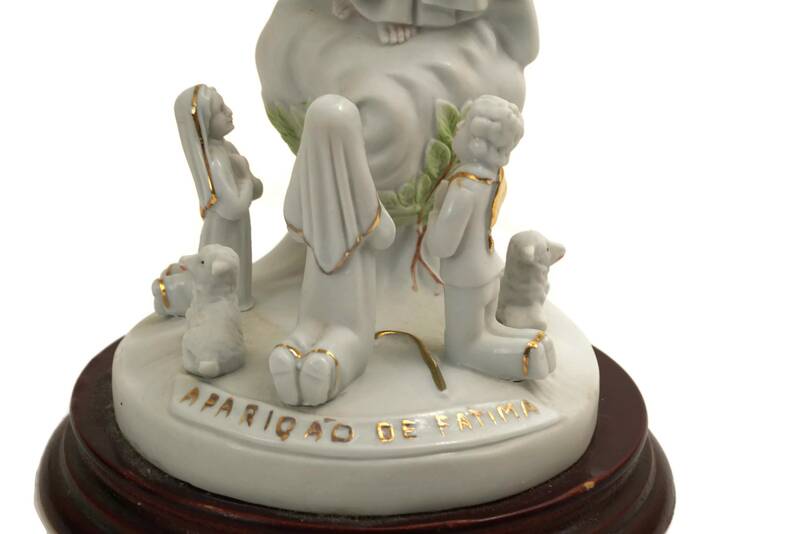 The base features the wording in Portuguese "apariçao de Fatima" in gold letters. 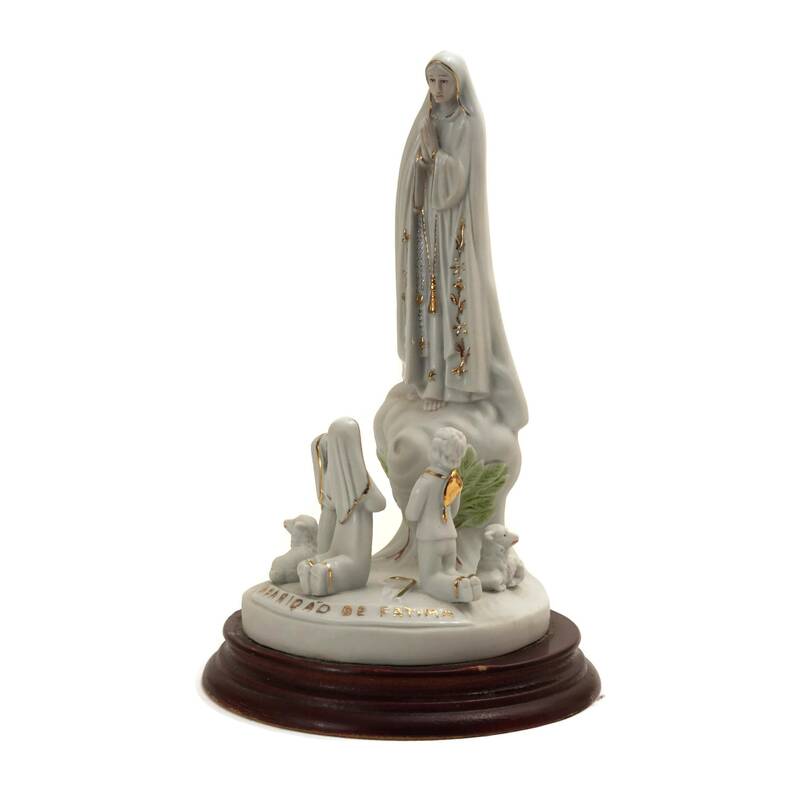 The statuette is based on the famed Marian apparitions reported in 1917 by three shepherd children at the Cova da Iria, in Fátima, Portugal. 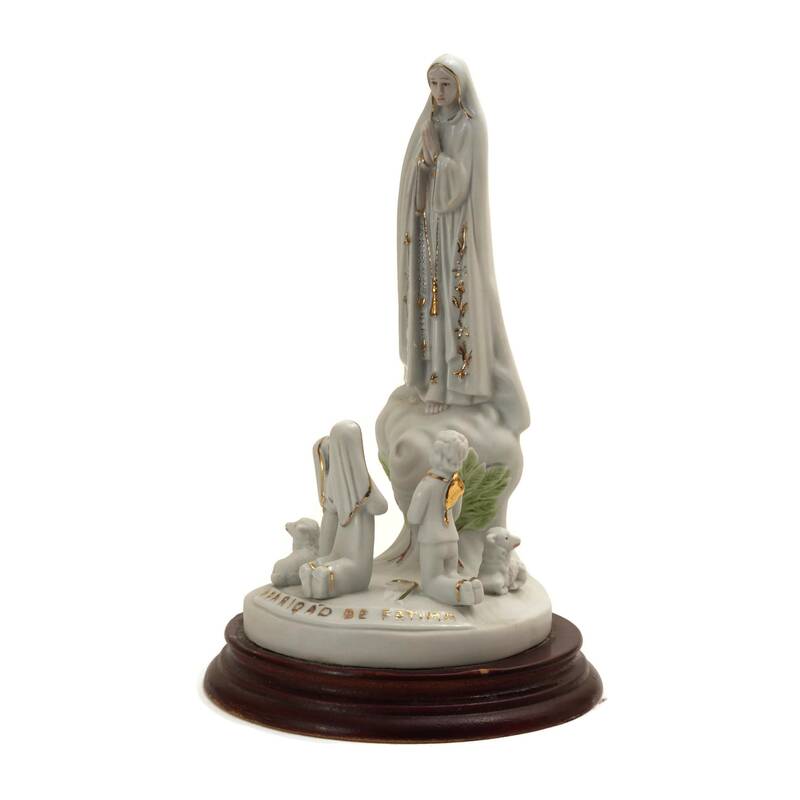 The three children were Lúcia Santos and her cousins Francisco and Jacinta Marto. 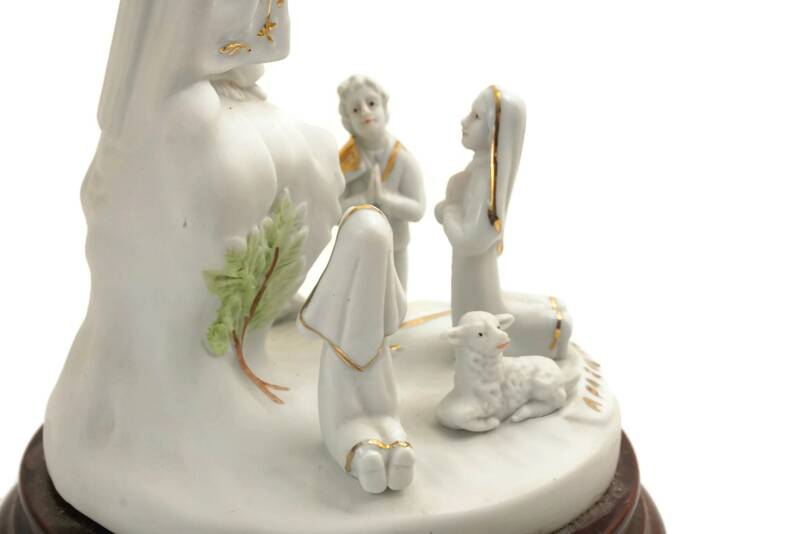 It could make an original confirmation gift or will make a lovely addition to your religious home decor. 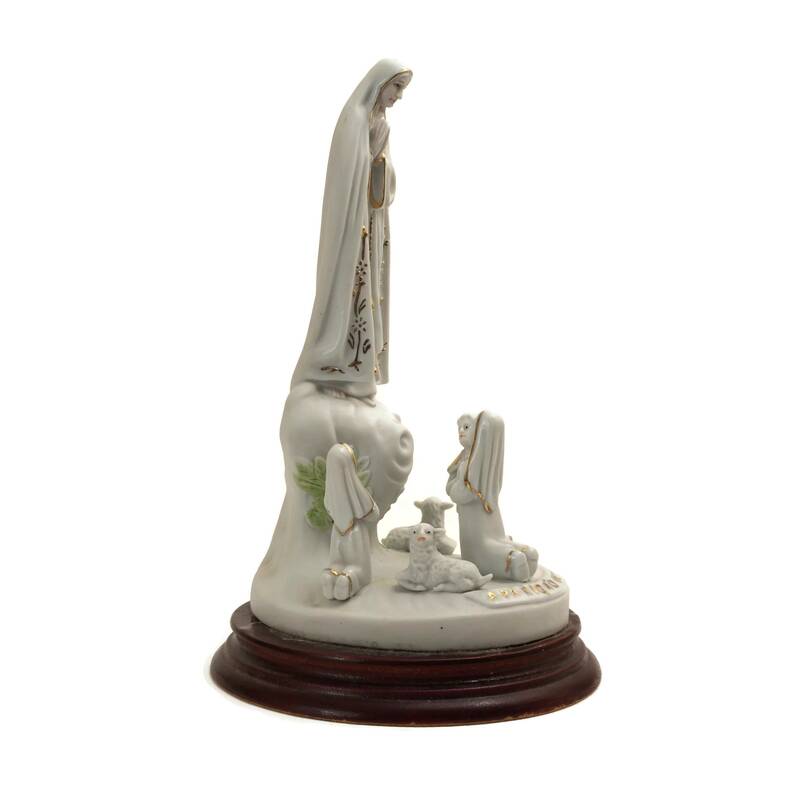 (19 cm x 10 cm). 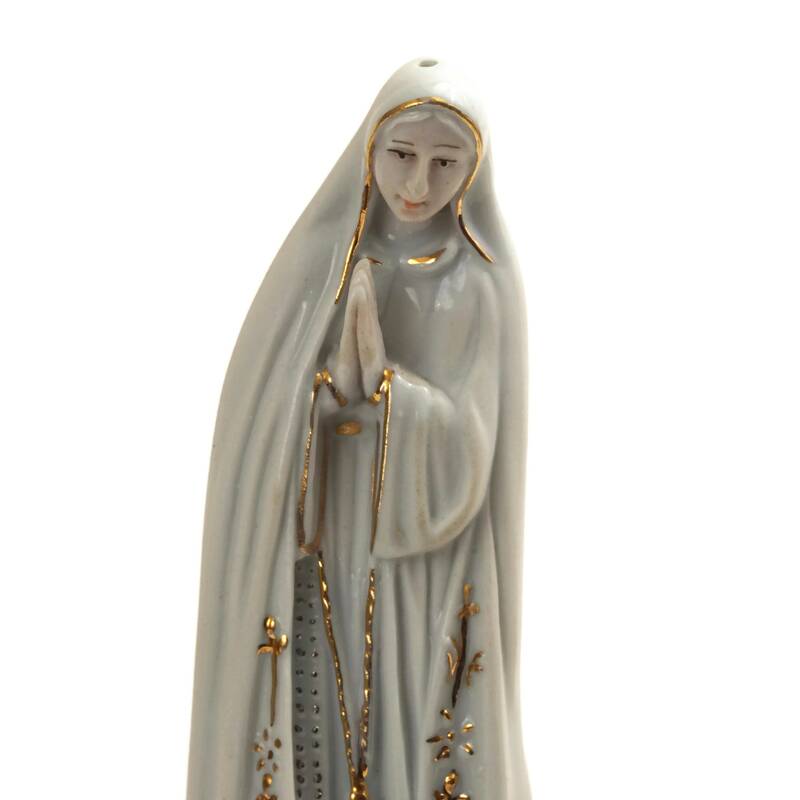 The Christian statue is in very good vintage condition with light signs of age and wear. There are no chips or cracks.